Hi, I’m James Bland. 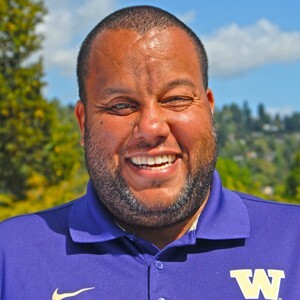 I was born and raised in the Seattle area and I bleed purple—Go Dawgs! I moved to Oregon about 20 years ago to work at Intel, where I still work today. I married my college sweetheart and we have two children. I love being part of the faith community at Greater Portland! We do a great job living out the church’s mission of helping people follow Jesus together. There are small groups to help us connect better, classes to help us learn more about the Bible, and Core discipleship sessions to help us grow in our faith. I serve in a couple roles at Greater Portland, the first being that I lead the Red Team in the elementary program where I am a storyteller and I work with the 3rd-5th-grade boys. I also serve as an elder.